We are pleased to announce that we have again expanded the services we offer to our Bay Area clients with the addition of HALT testing. HALT testing, sometimes also known as Key Life Testing, is a technique designed to discover weak links of a product using temperature and vibration at high levels for short durations. This accelerated test method precipitates failure modes faster than traditional testing. The new chamber in Newark will have a 36” x 36” table size with capacity for a 250lb test subject. 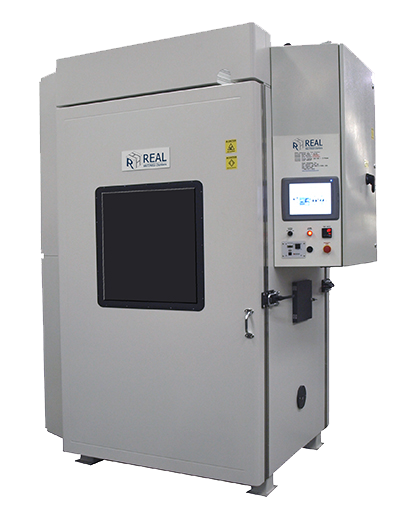 The chamber can reach -100°C to +200°C with a rapid thermal ramp rate of 70°C per minute. Acceleration capability is up to 60 gRMS (5Hz to 5kHz). Click here to learn more about HALT testing. To learn more about our Newark, CA laboratory click here.